A considerable amount of engineering work takes place on the bench, using hand tools and techniques which are second nature to those who earn their living in an engineering environment; they probably learned at a technical college, as an apprentice, or possibly by the example of older and more experienced workmates. The amateur or hobbyist engineer may not have enjoyed such advantages and, for example, may break a lot of hacksaw blades because he has not been shown how to use the saw or what sort of blades he should be using. 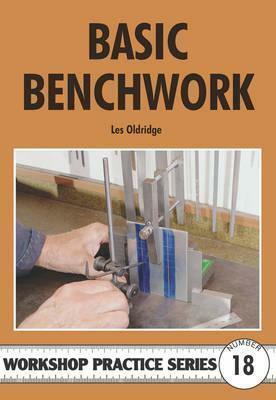 This book sets out to cover all the normal bench processes in a simple but informative manner which should help all who have come to enjoy working with metals but whose education did not include a grounding in the basics of engineering benchwork. Materials. Reading Engineering Drawings. Hacksaws. Files and Filing. Hammers, Chisels and Punches. Scrapers and Scraping. Measuring. Marking Out. Drills and Reamers. Screwed Fastenings, Spanners, Screwdrivers and Pliers. Taps and Dies. Riveting. Soft Soldering. Silver Soldering, Brazing, Bronze Welding and Engineering Adhesives. Welding. Hardening and Tempering Tools. Keys, Keyways, Splines, Collars and Shafts. Sheet Metalwork.